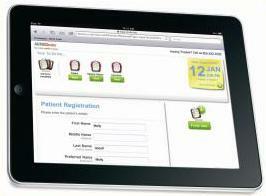 Our forms are electronic, and will be sent through email prior to your appointments. If we do not have your email on file, you will need to fill out the forms when you are in the office. Otherwise, to help minimize your wait time, you can call and supply an email address to receive the forms. Completing these forms in the comfort of your home is the best option as you have access to the proper information regarding your physicians name and number, along with any medications you may take (including the proper name and spelling). Filling out the forms at home also reduces your wait time in our office to fill out your forms. If you choose to, or need to complete the forms in our office before your appointment, please arrive at least 15 minutes early. Thank you so much, and we hope you enjoy this system as much as we do!